Today was a painting day. 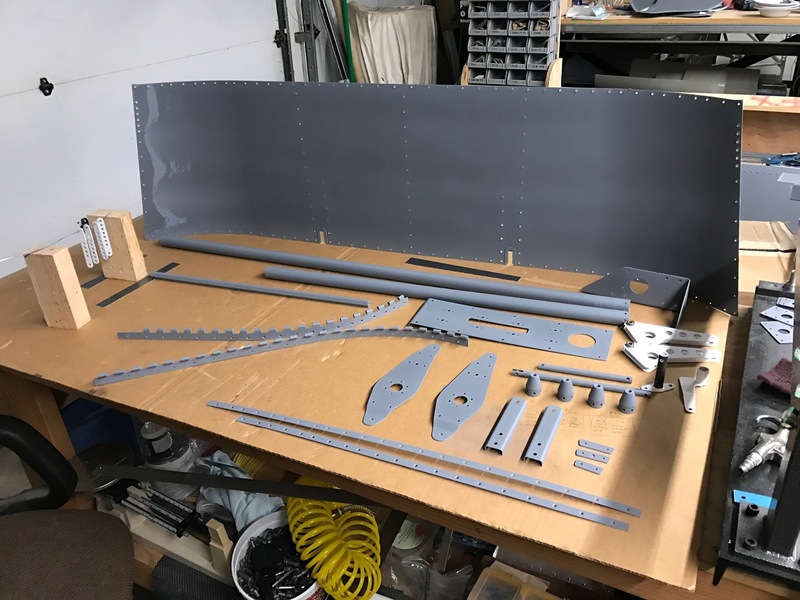 I primed all the parts I had prepped over the last couple days. 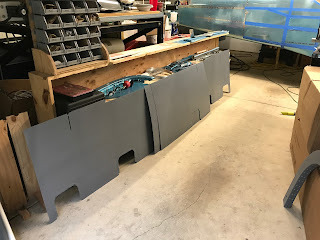 I also primed and painted a couple more steel parts using the Rust-oleum. I also primed the bottom wing skins today. 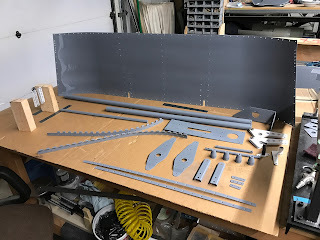 I hope to close up the wings in the near future and it will be nice to have the skins ready to go.